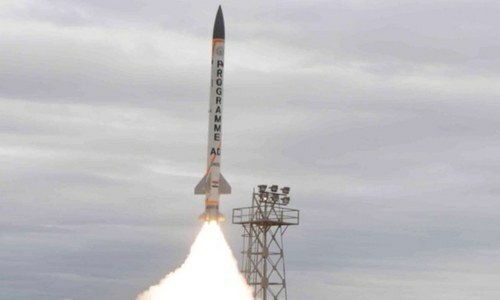 The strategic forces of Pakistan, with the testing of the 2,200 kilometre range Ababeel ballistic missile, have achieved vital technological and deterrence capability with the introduction of a missile with multiple independently targetable re-entry vehicle (MIRV) compatibility. The Ababeel's MIRV capability means it can carry multiple warheads, instead of a single payload. Hence, it is a single missile that provides the strategic capability of hitting multiple targets with a single launch. Such missiles greatly increase the potency of a country’s strategic nuclear arsenal. Pakistan has become the seventh country in the world to now posses the technology, which was developed in the late '60s by the Americans and Russians. India first tested a MIRV capable missile in 2012, with the successful launch of the Agni-V. India conducted its second successful test in 2013. The tests conducted by India had offset the strategic strike balance in South Asia. In order to maintain that balance, it had become vital for the Pakistani strategic forces to develop MIRV capable missiles. India’s quest for a ballistic missile defence (BMD) system also challenged the effectiveness of Pakistan’s strategic deterrence. To counter India’s BMD, which is still in development, Pakistan had to develop a viable solution given financial and resource constraints. Although the Ababeel has shorter range when compared with India’s Agni-V, it provides the needed deterrence. Ballistic missiles equipped with MIRVs release their warheads typically in the post-boost phase, and reduces the effectiveness of a missile defence system, which relies on intercepting individual warheads. While an attacking missile can have multiple warheads, interceptors have a single warhead. In both military and economic terms, the cost of maintaining an effective defence against MIRVs would significantly increase. Multiple interceptor missiles would be required for each incoming offensive missile. The defending side also has to factor in the probability of hit per interceptor, and whether the warhead is a decoy or not, hence reducing the effectiveness of such systems manifold. In a MIRV-capable ballistic missile, the main rocket motor pushes the warhead containing compartment into a free flight suborbital ballistic flight path. After the end of the boost phase, the compartment manoeuvres using onboard rocket motors and utilises an inertial guidance system for maintaining accuracy in flight. With a ballistic trajectory achieved, the re-entry vehicles with the warheads onboard releases the munition on that trajectory and then manoeuvres to release the other munitions on other targets. The process is repeated till all munitions are released on the designated targets. Accuracy is crucial and the onboard navigational systems ensure accurate delivery within the circular error of probability (CEP). The CEP is simply the radius of the circle that the warhead has a 50 per cent chance of falling into. Details and technical specifications of the onboard systems and missiles are closely guarded national secrets, in order to limit the counter measures that can be taken against such missiles. It is not yet clear how many MIRVs will be carried by the Ababeel. The ejection of armaments may be accomplished quite well, what is missing is delivery per INS or GPS , unless rapid radar lock is possible. as most targets will be mobile. GPS can be disabled and INS is location only..... with ever moving mobile target EE signiture are the key to eliminating movable targets. Drones can provide info on movable targets and then uploaded to missile ground control in dynamic env. Congratulations Pakistan . This could be 4th strike capability of Pakistan Armed Forces. Why are we keep building missiles? Well done. Hope neither party ever needs to use any of these. As per my knowledge India does not have that capability as yet. A big salute to the Pakistani Engineers who's hard work and talents made this possible. Can we know which organisation developed this missile? AS a indian , pakistan has always amazed me in many ways a country with very well secured nuks, missiles , and army, , education , cleanliness , liberal community, many fanatic anti india individuals but overall progressive. let cpec be crown to all . those sheen, ababeel babur etc be in closets and so be agnis aakash etc . let aman , love and brotherhood prevail. Our scientists and armed forces deserve a lot of appreciation. This is definitely a shocking news for our enemies. Many thanks to our great friend CHINA! Thank you india for always taking first step. Its due to your threat we are constantly keeping our knives sharp. Pakistan is so powerful today just because of its hostile neighbors. POLITE WARNING TO THE ENEMIES. Such amazing developments is good inspite of the cash crunch, putting aside the poverty and unemployment which is largely prevalent in the country. Pakistan has the capability and the resources to stand on its own feet instead of being dependent on other countries. More than developing weapons, if industries are developed will be more beneficial and help in being self sufficient and prosperous nation. @Muhammad Arshad India dont have MIRV missile. Mr D.J.Trump ;how's that ? @Israr_Ahmed read the article again. You will get the answer..
@Munir Zia Good one. you made our day. @saudagar - Perfect answer to both sides. Maybe another line would be. "Enough. Now both need to go and eradicate poverty"
I would have thought by now Indians and Pakistanis should have concluded that a full scale war between them should never be fought and is not winnable for either side. This is a spectacular waste of resources much needed elsewhere in the society and the economy. 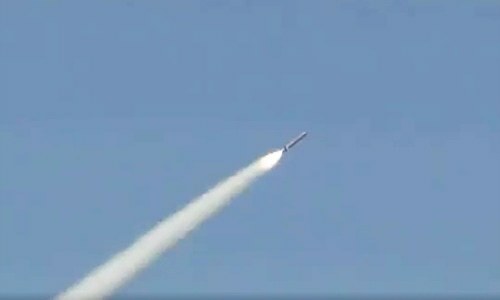 Ababeel could have been a very apt name for "air to surface" missile! @dk: So, it really hurts? The Indian nuclear tests of late 90's were on the premise . Your short comments reflects the misinformation that is build by your media about Pakistan. Most Indians I met in US had an impression of Pakistan that Pakistan is a barren country with no technological or educational base, it survives on US foreign aid and just stamps "Made in Pakistan" on Chinese weapon systems, any fertile or scenic image of Pakistan is from Kashmir that Indians are taught (like a parrot) is an integral part of India. My friend I have breaking news for you!!! Pakistan is unlike what you have been taught. India has repeatedly underestimated Pakistan and occasionally same can be said about Pakistan. Don't worry they won't. Nuclear weapons are only used against non-nuclear states. @Israr_Ahmed Because you continue to keep your eyes shut from the ongoing regional and global developments. Pakistan need 3-4 nuclear submarines with MIRV armed ICBMs which can hide deep inside the Indian Oceans. This will give Pakistan real strategic deterrence. India is already ahead in this regard and is testing out their own nuclear submarines. Placing Babur-3 with limited range on diesel electric submarines is a bad idea as these submarines will be hunted by Indian Scorpene hunter-killer submarines. @Khwarazmi : Bravo! Congratulation for your admirable arm chair strategy ! one of pakistans many weaknesses are that it has no civilian industry that can capitalize on defence technology spinn of. @Israr_Ahmed ask a silly question and get a silly answer. India doesnts have a MIRV missile as of now. India is planning to 'test' such a missile by 2018 only. MIRV technology is highly sophisticated and is possesed by only a few countries- USA, UK, Russia, China and France and arguably Israel. All of these countries have state of the art, massive research centres. All of these countries can afford to spend huge amounts on R & D to build something as sophisticated as a MIRV missile. Pakistan with launch of Ababeel claims to have MIRV technology. However that is very very unlikely, as Pakistan neither has statellites to guide MIRVs not has such huge funds and facilities to develop such a missile. In a way thank you to India for keeping us motivated. Never underestimate the heart of a warrior! @saudagar Very nicely said bro. Fully reciprocated from across the border. Hopefully, these toys will maintain their deterrent capability sufficiently to avoid a war. That's the goal. And let Kashmir have the right of self determination. So much investment in each other's destruction. This is what you call, Brown on Brown hate packed in sophisticated rockets. Damn! @ghaznavi Sir...I can guarantee you one thing - we, in India, are not really taught much about Pakistan in our curriculum. Pakistan is only mentioned as a neighbouring country and as what was the result of the partition of 1947. PERIOD. In fact, unless someone specifically delves into international political studies, no country is specifically studied by us. Geopolitics is not a subject we are taught in schools. Maybe curricula in Pakistan are much more advanced than ours, that they can afford time and energy to study specific countries. Yes - media bias is there, but there also we do no talk about your economic status. Unfortunately, we have our own issues at hand. @saudagar tell this to your PM. What good will it bring to humanity? Hundreds of families who are not able to feed themselves twice a day could have earned a better future if the money spent on ababeel was given to them. We are so lost in the beauty of this world that we forgot the real purpose of life. What good has nuclear technology brought to Pakistan. All current MIRVs in the world are for ICBMs 6000+kms. Has Pakistan developed new technology for only 2200 Kms. That is nobel prize level work in physics. Pakistan is the only country whose missile tests NEVER fail. Hats of to Pakistan scientists. They are best in the world. It is NOT MIRV. It had only a single warhead. Also, it is extremely difficult for a missile with such a short range to have MIRV capability. One thing that always amazes me is that Pakistan is able to develop sophisticated technology in short order and achieve success in their maiden test. Wonder if Pakistan put its energy and talent in other fields, it would be a dominant world power that could challenge the US and the rest of the world. It could be the first muslim nation that is the world leader in cutting edge technology. With CPEC, Pakistan will be able to export all of this to even China! @AHA No need.Now this is the capability now Pakistan possess. @adventurer Only industries can not protect the country against the enemy. @Balls deep Let first India stop producing weapons ,so there will be no arm race in the region.Very simple..
@Nasir ....................U HAVE VISION MY DEAR. @Israr_Ahmed we need to build a lot more than what we have now. At least 5 to 8 thousand more. @niser actually it was the americans way back in the 60s. @adventurer developin weapons helps eradicate poverty. It provides jobs internally and opens the doors for scientists and engineers. @Israr_Ahmed Do you support of kick projects instead? India's has already attained MIRV technology . India sends multiple satellites on one rocket at one go where each satellite is ejected into different orbits. This is the same tech and nothing more about MIRV. @Israr_Ahmed They do that in all corrupt countries to make huge kickbacks for the ruling class. they can hide the actual figures in the name of national security. Actually there is no secret because all such data are easily available on-line for anybody any time. Happens all over the world. In India and Pakistan that is a fortune for politicians and military officers - which usually go into foreign bank accounts. The whole idea of war mongering and saber rattling are for this ulterior motive. As per defence experts, MIRV is not possible for a short range(2200 km). No one in the world has that capability at present. @venkat ..and now we have developed it too. @adventurer end corruption and see how economy takes off. @Israr_Ahmed "Why are we keep building missiles?" Because building magic wands is impractical. 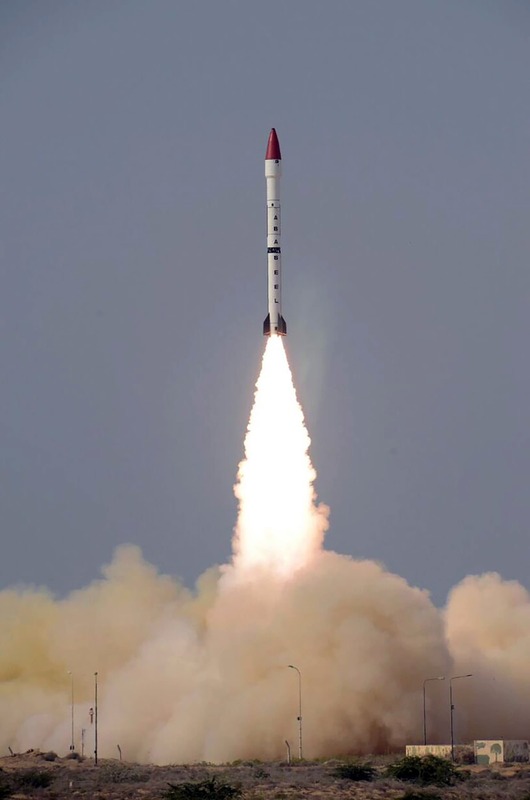 Flight test of surface to surface nuclear capable missile 'Ababeel' is a remarkable achievement of Pakistan as through this test Pakistan has managed to reinforce deterrence by countering India's BMD.